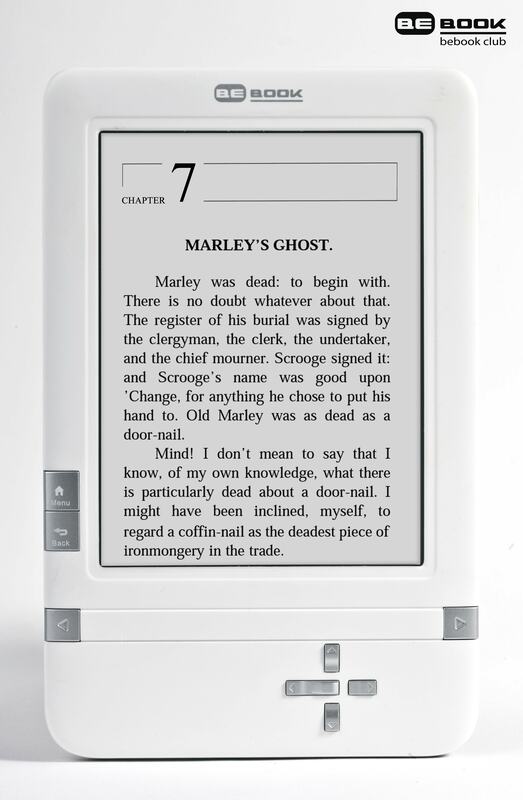 Bebook announced their newest ereader today. The Bebook Club is a close cousin of the Bebook Neo. They were both designed Onyx, a Chinese ereader company. In fact, I've shown you this hardware before under different brand names. I have the press kit in front of me, and it looks like the Club has the same hardware specs as the Neo (except the club doesn't have Wifi). They also share the same broad format support, so I would guess that the software features are the same. Update: Price will be under 190 euros, and it should be available almost immediately. I don't see a mention of price or release date. I'm following up on that. Update: I found a video of the Boox X60s shot at IFA by Charbax. It's the same hardware, so if you look past the garish green color you can get a pretty good idea of the look and feel for the design. Eejits sent a frikkin XLS file in that PR Zip. I have nothing that can deal with that! And their site doesn’t even list it in the Store. FAIL! Open Office can do it, but WTF can’t they send a PDF like normal people? I deleted OO months ago. PDF would be the way to go! If it’s the infamous Boox 60-S, there’s no stylus, I fear. The one I saw at BEA had a stylus. But there’s nothing at all in the announcement or press kit that even suggests it has a touchscreen. They would have mentioned it if there was one, wouldn’t they? Good point. I’ll edit the post.